JOHANNA Tsotetsi from Vosloorus in Ekurhuleni came to our office for help. She said she was shopping at Naledi Shoprite in Vosloorus last November when she got hurt. 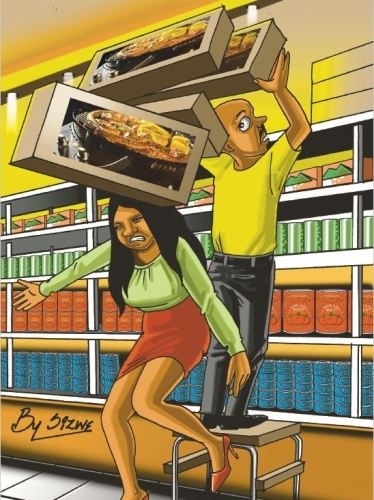 A store employee was busy packing braai stands onto a top shelf when one of the boxes fell on her. The manager, whom she knows only as “Pinky”, told her to see a doctor and bring a medical certificate. To date nothing has been done to help her. Every time she goes to the store she is sent from one person to another. I spoke to Shoprite to ask why her complaint had not been sorted out. Shoprite said they would conduct an investigation into the incident and provide us with feedback as soon as possible. After their investigation they confirmed they had processed the claim as well as an additional amount as an apology for the poor manner in which the claim was handled. I spoke to Johanna and she is happy that the matter was sorted out.